What is the Turabian and CMS Style Format? Chicago Manual of Style (also referred to as Chicago or CMS) was first published in 1906 by the University of Chicago. The manual was edited and republished several times throughout the years in order to adjust it to the changing demands of the scientific community. The latest, seventeenth, edition of the manual was issued in 2017, it is considered to be one of the most reputable sets of rules for formatting documents. This manual describes the distinctive features of formatting title pages, titles, headings, bodies of the documents, notes, and references. “A Manual for Writers of Research Papers, Theses, and Dissertations”, often referred to as “Turabian,” was initially written by Kate L. Turabian as a brief pamphlet to help scholars edit their academic writing. The Turabian Manual of Style has faced several editions since its first appearance in 1937, and the currently used version is the eighth edition of the manual, which was issued in 2013. Both manuals basically describe one and the same system of formatting and citation, they are intended for American English and imply a documentary-note style of presenting information; while CMS contains a general set of rules, which can be applied to various texts, the Turabian manual focuses only on academic writing. As both manuals contain a great amount of information and address numerous details, it can be quite tiring to wade through all the instructions they provide. The following guide reviews the most essential features of the Chicago and Turabian style and provides all the necessary examples to help students understand what’s a CMS in writing style and cite the used sources in accordance with CMS documentation style. Margins should be set to at least 1 inch from each side, yet the preferred setting is 1.5 inch from each side. The font size should be no less than 10 pt. ; the optimal size for the main text is 12 pt. The typeface should be readable, not too fancy or informal, with a clear distinction between italic and regular font style. The most widely used font is Times New Roman. The text of the entire paper, including block quotations, figure captions, table titles, notes and bibliography, should be double-spaced. The page numbers are indicated by Arabic numbers in the header of each page in the upper right corner. The title page should not have a page number. Sizable texts should be structured with the help of subheadings. All academic papers should comply with a certain structure, where each section has its own features. Thus, to understand how to write a paper in Turabian and CMS format, one should thoroughly look into the guidelines for writing and formatting the necessary parts for a particular type of paper. The title of the work should be located approximately one-third way down the page, centered. If the work has a subtitle, the title should be followed by a colon, and the subtitle should be located on the next line after the title. Several lines should be left blank after the title, then the name of the author, the course details, and the date should be mentioned. No page numbers or headers are required in the CMS and Turabian style title page format, unless the instructor requests otherwise. If the author names any titles of other works in the main body of the writing, these titles should be capitalized headline-style. Moreover, the titles should be either italicized or enclosed into double quotation marks, depending on the type of text that they represent. Thus, titles of larger works, such as books and periodicals, should be italicized, whereas titles of shorter texts and parts of it, such as chapters and articles, should be written in quotation marks. An important fact to remember when writing a title in a CMS format paper is that while the titles of the majority of poems are to be mentioned within double quotation marks, the titles of the long poems and plays are to be italicized. 5th level: sentence-style capitalization, typed at the beginning of a paragraph with no blank lines afterwards, boldface or italicized, ended with a period. What is CMS Format for Tables and Figures? Tables, figures, graphs, diagrams, charts and other visual data representation should be placed immediately after the part of the text that contains their description. A caption or a brief comment should follow each illustration after the figure number. A “credit line” should follow each caption and contain information about the original source of the image; it should be written in a different type or placed in parenthesis. If the illustration is a photography, the photographer’s name can be typed in a smaller font parallel to the bottom edge of the picture. The sources of all the imagery should be cited the same way as the sources of all the referred and paraphrased textual material. The name of the author of the illustration should be placed first; if there was a caption for the image in the original source, it should be put in quotation marks and capitalized the same way as a title of an article would be. It is almost impossible to write a decent scholarly work without using someone else’s thoughts and concepts. Moreover, referring to other academic publications usually adds value to an academic paper, as appropriate citation throughout the text indicates academic integrity of the author, substantiates the author’s logic and ideas, and allows the readers to find more relevant sources about the topic of their interest. There are two ways of implementing ideas of another author into the text: paraphrasing and direct quotation. The main requirement for applying the borrowed ideas to substantiate personal claims and theories is to make a clear distinction between the words of other people and your own narrative. The Chicago style in-text citation format requires presenting sizable quotations (five and more lines) as block quotations. Such quotations should be indented half an inch from the left margin, and typed with a different font or a smaller type. It is also possible to type the block quotation with a single-space interval. No quotation marks are required for block quotations; the phrase that introduces the block quotation can either end with a colon to indicate the following citation, or be placed in the left without any punctuation marks at the end. Turabian and Chicago style of referencing can also be called a “documentary-note” or a “bibliography-note” system. CMS writing format uses footnotes and endnotes as a means of arranging proper referencing. The only difference between footnotes end endnotes is their place in the body of the writing: while footnotes are placed on the same page with the text that they refer to, endnotes should be located in the end of the paper as a separate section. However, there is no need to use both footnotes and endnotes in one paper. Moreover, arranging a list of endnotes infers that there will not be a reference list in the paper. At the same time, CMS and Turabian referencing guides describe an author-date in-text citation system, which is represented by parenthetical citation, hence leaving the authors an opportunity to decide which method is more suitable for their subjects, topics and types of writing. The “bibliography-note” system is more commonly used in humanities, whereas the author-date system is a preferred way of referencing in sciences. The obvious benefit of the Chicago and Turabian citation style is that it minimizes the distraction of a reader from the main text by using the superscripted numbers to identify the citation. The superscripted numbers are subsequent; each represents the number of a corresponding footnote or endnote. When the source is cited for the first time, the note should contain a detailed information, such as the author’s name, the title of the source, numbers of the cited pages, and other publication facts. Yet, if the author is referring to the same source for more than once, it is possible to note such citation as “Ibid.”, which stands for Latin “Ibidem” and means “in the same place”. Should the author want to use such style of citation and refer to the same source but a different page, the page numbers are stated after the abbreviation “Ibid.” and a comma. Although CMS style guide tolerates such a citation, many academic instructors prefer the full information about the source to be included into the note regardless of the number of previous references to that very source. The list of all used sources should be titled “Bibliography”. So, how to format a bibliography for a CMS paper? It is located after the main part of the writing, prior to indexes and appendices. The main and obvious requirement for arranging the Bibliography list is to make sure that every cited source has a corresponding entry. Although the patterns of formatting the references vary depending on the type of the source, the entries in the bibliography list should be organized in alphabetical order, based on the surnames of the sources’ authors. The main parts of any bibliographical entry are the author’s name, the title of the work, and the publication details. If the name of the author was not stated in the source, the bibliography should contain the name(s) of the editor, compiler, translator, etc. The names of the authors are inverted (surname, name). If the name of the author is not listed, the reference should start with an inverted name of another relevant person. However, if no names were mentioned in the source whatsoever, the reference starts with the title. The titles of the books and periodicals are to be italicized, whereas the titles of the smaller works (chapters, articles etc.) should be presented within quotation marks. The major elements of a Chicago style referencing should be divided by periods. As many things are better explained with illustrative examples, the following samples for CMS bibliography writing formats for different resources are thoroughly described and analyzed. 1. Name Surname. Title of the book (Place of publication: Publisher’s name, Publication year), page numbers. Surname, Name. Title of the book. Place of publication: Publisher’s name, Publication year. So, how to cite a book in Chicago style? A book with a single author is cited exactly as it was described in the template above. 1. Jane White, Miracle of Presence (Moscow: Spiritual Books, 2016), 213. White, Jane. The Miracle of Presence. Moscow: Spiritual Books, 2016. 2. Jane White and Harry Lewis, The Law of Financial Growth (London: Great Publications, 2016), 256- 277. White, Jane and Harry Lewis. The Law of Financial Growth. London: Great Publications, 2016. If the book has more than two authors, their names should be listed in the same order as they appear in the original source, not alphabetized. 3. Jason Johnson, Amanda Amberson, and Derek Chambers, Boosting Personal Productivity (New York: Grand Central, 2014), 134-136. Johnson, Jason, Amanda Amberson, and Derek Chambers. Boosting Personal Productivity. New York: Grand Central, 2014. 4. Barbara Clayton et al., What String Theory Actually Means (Manchester: City Lights, 2012), 113-117. Clayton, Barbara, Stephen Robinson, Marc Swanson, Joe Taylor, Jessica Young. What String Theory Actually Means. Manchester: City Lights, 2012. How to cite in CMS format if the book has more than seven authors? The note reference only marks the first one, and the bibliographical reference lists seven authors, followed by “et. al”. 5. Indrajit Agarwal, The Power of Today, trans. Anna Redwood (Los Angeles: Spiritual Books, 2015), 215. Agarwal, Indrajit. The Power of Today. Translated by Anna Redwood. Los Angeles: Spiritual Books, 2015. 6. Gregory Fox, The Mathematical Approach to the Human Relationships, ed. Linda Parker (Chicago: Chicago Publications, 2013), 198. Fox, Gregory. The Mathematical Approach to the Human Relationships, Edited by Linda Parker. Chicago: Chicago Publications, 2013. According to Chicago citation guide, when you need to cite a part of a book, which was contributed by another author, such as preface, introduction or an afterword, you should record the range of page numbers, which contain the cited section. 7. Jerry Gilmore, introduction to What if you were born in 200 years?, ed. Glenn Baker (New York: Collins Publishers, 2005), xxv. Gilmore, Jerry. Introduction to What if you were born in 200 years?, xxii-xxvii. Edited by Glenn Baker. New York: Collins Publishers, 2005. How to cite in Chicago style when the most part of the book is not relevant to the topic? When you a referring to a selected work, which is published in a book with several authors, the entry starts with the name of a contributing author, followed by the title of a contributed work, the word “in”, and the title of the book itself, then the names of its authors, editors, etc. and all the other necessary information. 5. July Dowson, “Sea Affairs,” in The Scientific Adventures 2017, ed. Jack Miller (New York: Scientific Books, 2012), 32. Dowson, July. “Sea Affairs.” In The Scientific Adventures 2017, edited by Jack Miller, 30-45. New York: Scientific Books, 2017. If the author or the editor is unknown, the Chicago style book citation starts with the title of the book and includes all the other necessary elements. The process of publishing a book is rather complex and long; it takes months, if not years for the manuscript to pass all the milestones before one is replicated and presented to the public. As scientific community operates with information, which is constantly changing and developing, there are numerous periodicals to serve as a means of communication between the scientists. So, what is Chicago style citation and how it is used in periodicals? To make the process of finding the right source among many others stored in a library or a database easier and faster, the Turabian style citation guide, among the other necessary parts of a citation, requires stating the issue details. The note should record the name of an author exactly as it was mentioned in the source, yet the bibliographical entry format requires inverting the author’s name. The titles of the articles, both in notes and bibliographical entries, are given within quotation marks, whereas the periodical titles are italicized and are recorded using headline-style capitalization. The volume number should be mentioned after the title of the periodical, yet it should not be italicized. The issue number is stated after the volume number; they are separated by a comma and an abbreviation “no.” The date of publication should be stated in parentheses after the volume and issue numbers, it can include the specific date, month or season if they are provided, but the publication year is necessary at all times. The page numbers should be mentioned after the date; while the note should record only the pages with the cited material, the bibliographical entry should state the first and the last pages of the cited article. 1. Bill Drake, “The Sign Language,” Rules of Communication 63, no. 2 (2016): 217. Drake, Bill. “The Sign Language.” Rules of Communication 63, no.2 (2016): 186-248. The Chicago style journal citation pattern can be applied to citing electronic journals as well. The only difference is that when referring to an electronic journal, CMS citation style requires including DOI or URL into the record. DOI is an abbreviation that stands for “digital object identifier”, which is a unique set of letters and digits, assigned expressly to distinguish one electronic document among numerous other files on the internet. Turabian citation style does not imply recording the date of access for an electronic journal reference. However, if it was requested by an instructor, the access date should be stated right after the DOI or URL. The dates of access should be separated by commas in footnotes and endnotes and by periods in bibliographical entries. Even if a journal has a volume and an issue number, they are not required in this citation format, though the date of issue is essential for the record. The reference may also include page numbers, however, in most cases, one should only mention pages that contain the cited material, as the whole article may not be as relevant as its cited parts. The page numbers are to be stated after the date and a colon. 1. Jerry Brown, “Productivity Abroad,” Scientific Research 12, no. 3 (2005): 122, accessed January 2, 2007, http://www.jrt.org/open/1243342. As it can be seen from the following Turabian and CMS citation example, referring to a printed magazine requires several key points: the name of the author, the title of the article (mentioned in quotation marks), the title of the magazine (typed in italics), and the date of issue. Page numbers should be recorded in footnotes and endnotes, yet they are not required in a bibliographical citation. 1. Rachel Bloomberg, “Tattooists and their Responsibility,” Tattoo Magazine, January 2008, 22. Bloomberg, Rachel. “Tattooists and their Responsibility.” Tattoo Magazine, January 2008. The pattern of citing online magazines coincides with citing printed ones; the only difference is that DOI or URL is required for citing an online magazine. The CMS and Turabian format guides have no strict rules regarding whether a citation of an online magazine should contain the date of access. The access date can be included into the citation if it was requested by and instructor, or if the contents of the page is subject to changes. If the access date is recorded in the citation, it should be mentioned before the DOI or URL; it should be separated by commas in footnotes and endnotes, and by periods in bibliographical records. Douglas, Grace. “The Power of Attitude.” Psychological Etudes, March 2006. The bibliographical entries, footnotes and endnotes for newspapers require the following elements of citation: the author’s name, the title of the article or column, the name of the newspaper, the publication date in a format “month, day, year”. Notes and bibliographical entries for online newspaper citation should also include the URL, and in some cases, when the cited articles are subject to editing and updating, it is necessary to include the time of access as well. CMS style for titles implies that if the newspaper name starts with “the”, this word can be omitted. If the newspaper is not widely-known, the city name and the state abbreviation are mentioned in parentheses. CMS style for titles of publications requires converting headlines that were typed in all capital letters into a headline-style capitalized titles. Although there are no strict rules regarding converting sentence-style capitalized titles, it is preferred by many instructors to apply the headline-style capitalization for such titles to maintain consistency throughout the entries. 1. Steve Lewis, "The Modern Literature vs. The Classical Literature," Literature Reviews (New York, NY), Feb. 12, 2010. Lewis, Steve. "The Modern Literature vs. The Classical Literature." Literature Reviews (New York, NY), Feb. 12, 2010. As more scientific works are now digital and have no printed analogues, it is important to have detailed rules and patterns to describe where certain information was taken from. So, how to cite a website in Chicago style? The seventh edition of Chicago Manual of Style has some changes in the format of citing different web resources, which are based on reconsidering the very concept of what the resources are: for example, Wikipedia should be seen as a website, not as an encyclopedia. The titles of the websites are not italicized, and should be headline-style capitalized. However, this only applies to the website titles, as the titles of electronic books, journals, articles, etc. should be recorded following the rules that are similar to citing the printed versions. 1. Name Surname, “Title of the Web Page”, Publishing Organization or Website Name, publication or access date, URL. Surname, Name. “Title of the Web Page”. Publishing Organization or Website Name. Publication or access date. URL. There are some distinctive features of how to use Chicago style when citing blogs. As it was previously mentioned, blog titles are to be italicized, and the titles of blog entries should be put into quotation marks. The word “blog” should be mentioned in parentheses after its title, however, if it is included into the title, there is no need to repeat it. Blog references are usually cited only in notes, and are not included into the bibliography list. However, if the cited material is crucial or if the blog was frequently cited throughout the work, it is better for it to have a corresponding bibliographical entry as well. Citing electronic books and books that are published online is quite similar to citing printed books, yet it has some essential differences: the reference should contain a record of the type of media where the book was located. The type of media can be represented by a Kindle edition, Microsoft Reader e-book, CD, etc. If the cited book was viewed online, the reference should contain a DOI or URL. Another important thing to remember is that in most cases, the pages of electronic books are not fixed and are adjusted according to the users’ preferences. Thus, there is no need to mention page numbers in a citation, yet it might be helpful to note the number of a chapter, paragraph or any other marker which would help a reader find the cited part of the text faster. 1. Neil Grant, The Architecture of a City (New York: City Books, 2011), http://www.rje.com/Webbook/Grantbook/City%fhjdf%kdlthkmfg.pdf. Grant, Neil. The Architecture of a City. New York: City Books, 2011. Obviously, the process of recording and arranging the notes and bibliographical entries is quite tiresome and requires concentration and patience. There are numerous Chicago style citation creators online which can make the whole process a lot easier. However, if you decide to use a CMS or Turabian style citation maker, the important thing to remember is that there are different editions of the manuals, and thus, in order to get your notes and bibliography formatted according to the latest requirements, you should at least look through a CMS quick reference guide. The best strategy is to ask your instructor for an example paper in CMS format in order to see what does CMS writing mean, and explore all the features of this writing style yourself. Writing a paper in Turabian and CMS format means following a range of requirements and suggestions in order to make the narrative coherent and the key ideas transparent and sound. CMS paper guidelines were developed throughout the years to make the process of writing academic and official papers standardized and appropriate to the demands of the changing media and their audiences. Although Chicago style writing format is generally the same, different academic papers imply different approaches. How to Write an Essay in CMS or Turabian format? First and foremost, writing a CMS format essay means adjusting the settings of a word processor (margins, font size, spacing, page numbers, etc.). Many other features of formatting should depend on the type of an essay. For example, if an expository essay is being written in response to a literary work, it is logical that it should mention the title of the work, and it is quite possible that it will include some quotes from the literature work under review. Obviously, in such case it would be crucial to record book titles CMS style, which means italicizing them, whereas the titles of the articles and other smaller texts should be recorded within quotation marks. The type of an essay also determines how to cite Chicago style in text of the work. For instance, narrative and descriptive essays will hardly need any citation at all, as they are based on personal experiences and background of the author, yet expository, persuasive, analytical and argumentative essays call for a range of evidence to support the claims of the author. As such evidence can be represented by the thoughts and ideas of the other members of scientific community, they should get proper recognition, and Chicago style citation within an essay can contribute to an overall credibility of the text. When you are writing such an essay, it is better to request your teacher to provide a Turabian style in text citation example, as according to the manual it can be either parenthetical or superscripted. The CMS style bibliography format is more explicit though; the indispensable rule to follow is to make sure that each work that was cited within the text has a corresponding entry in the bibliography list. It is also preferable to make a Chicago style cover page for the lengthier essays. 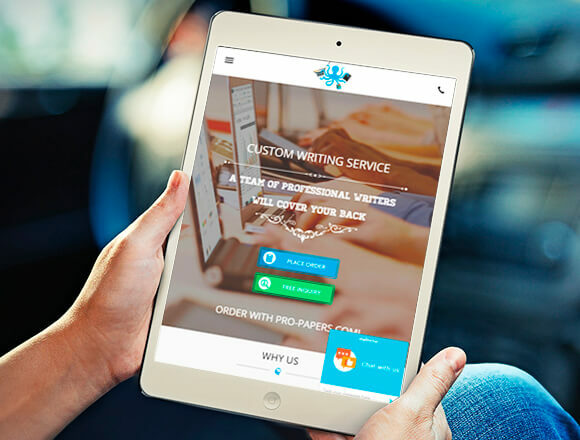 The most reliable way to make sure that your writing meets all the expectations of your instructor, is to ask for a CMS format essay sample. Such precaution will enable you to avoid minor mistakes with your formatting, which, in turn, will consequently result in a higher grade. How to write a CMS style research paper? There is no single answer to the “What subject uses CMS format?” question. This style is broadly used in humanities, especially by students who are studying advanced art and literature courses. Most of the time students are required to use one formatting style throughout the course of their study, as the subjects of the course are somewhat related, congenial and akin. Applying the CMS style for history papers is quite commonplace as well, yet in fact, regardless of the field of study, any instructor can request formatting the academic papers according to the requirements of the Chicago manual of style. Online samples for CMS writing formats for different academic disciplines can be quite helpful, yet they can’t fully represent all the features of formatting. Most of the time they only help to make a first impression and get a grasp of what does a paper look like in Chicago and Turabian style and what distinguishes it from papers formatted in other academic writing styles. Such comparison can be quite helpful for students who are taking courses that are not related, and hence, they have to format papers in accordance with the rules from different manuals, and they also have to be extremely attentive not to mix up the features of several styles in one paper, as even the slightest confusion may have a heavy impact on the overall grade. If you look at a research paper example formatted according to CMS, you’ll see some key points of the format, such as Chicago style title page, footnotes or endnotes, CMS bibliography sample, etc. These formatting features, in fact, are only an outer representation of the idea of academic integrity and tendency of the scientific community to standardize the documents. This, however, has little to do with the content of a research paper, which is determined by the subject and the topic. Regardless of the further formatting, writing a research paper implies conducting a proper investigation of the topic. Obviously, any research starts with exploring relevant literature. As some of the ideas may be borrowed to substantiate the theories and hypothesis of the author, one will have to format a research paper citation in CMS style. To do it properly, one should carefully check all requirements and follow them as precisely as possible. In order to understand what is CMS format one should thoroughly read the manual and try to format several papers in accordance with formatting guidelines. However, as any other formatting style guide, CMS and Turabian guides primarily determine the way the document should look like, yet the contents and the narrative are at the authors own discretion.